In case you ever wondered, the Marching Virginians are never not busy. When it comes to the first week of spring semester, we are bustling bodies full of eagerness and nerves, but most of all: music. And it stays with us, just in time for Honor Band! Honor Band provides high school students the chance to perform in a college setting while also learning from the best musical directors Virginia has to offer. For the 22nd Annual Virginia Tech Honor Band, Dr. Jonathan Caldwell, Director of the Wind Ensemble at Virginia Tech, conducted the honors wind ensemble or the gold hokies in Moss Arts Center. Dr. Polly Middleton, Director of Athletic Bands at Virginia Tech, conducted the silver hokie band that performed in Burruss Auditorium. Mr. David McKee, former Director of Athletic Bands at Virginia Tech, conducted the maroon band that performed in Old Dominion Ballroom. Mr. David Webb, Director of Bands at Jefferson Forest High School, conducted the orange hokie band that performed in Haymarket Theater. It’s extremely hard to begin describing the amount of hard work and dedication it takes from band students and supporting staff that goes into crafting each wonderful performance honor band provides. 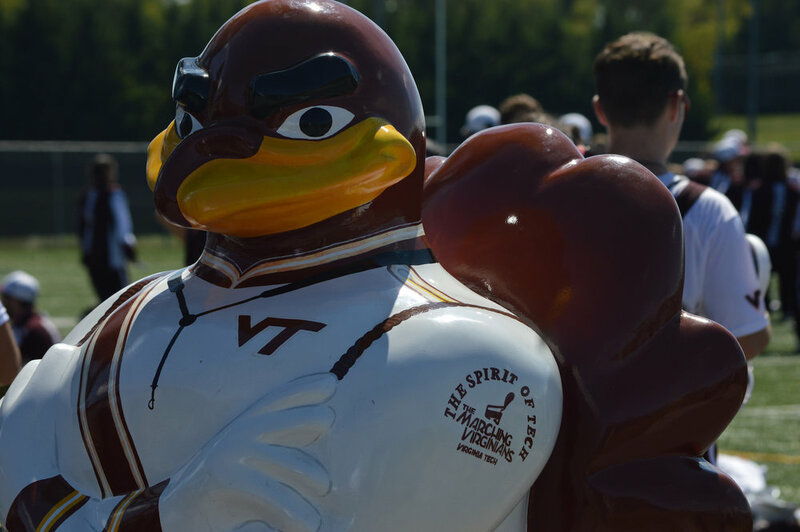 The support system that is equivalent to a person’s spine and metaphorical backbone is handed to all the Marching Virginians and band fanatics involved with Virginia Tech’s honorary band sorority and fraternities: Tau Beta Sigma, Kappa Kappa Psi, and Delta Omicron. ...in general, having TBS, KKY, and DO working together is an incredible time. 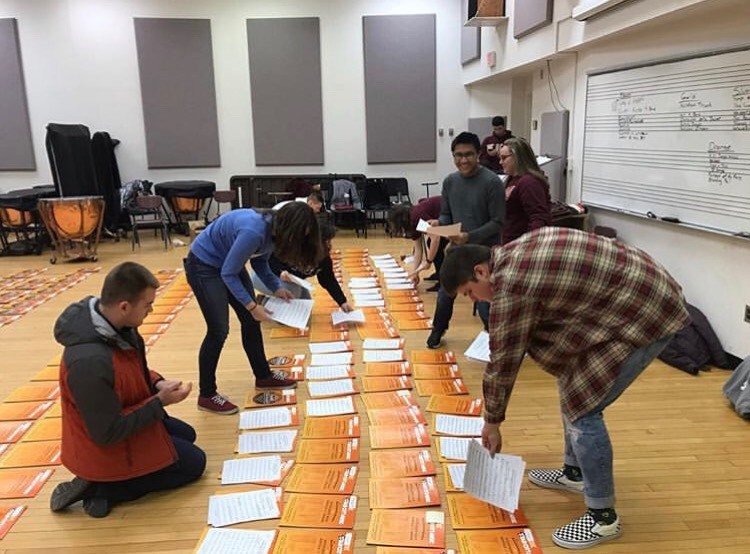 They rely a lot on the students to help with getting honor band set up and running smoothly, and it is a great chance for us to meet people in the other organizations and encourage high school students to continue music into college and beyond. And of course, we cannot forget to thank the two major sponsors of the whole shabang, Dee Hopkins and Dr. Caldwell. As some may know, Honor Band-A-Rama is indeed a special evening open to students and parents featuring the VT Jazz Ensemble, the Wind Ensemble, and the Marching Virginians performed in the Moss Arts Center as part of Honor Band weekend. Every performer involved volunteered for the event, including the hundreds of maroon and white uniformed marchers that played their hearts out Saturday, Jan 26. Though they did not receive a weekend of rehearsals, the Marching Virginians are an elite group of musicians, ready to play at the sound of the cadence. ...another really hard but fun part has been organizing the bands behind stage. We have to corral each band into their room to wait and that's just a time. A special thanks goes out to Jesse Hughes, MV and music major, who stepped in for a missing percussionist during the maroon band’s performance. Keep in mind, this required him to sight-read every piece they played that night. And to those who helped replace the broken bassoon and supported the player, band students nationwide cannot thank you enough. To sneak one more huge thank you, Chad Reep, you rock. For those unaware, he transposed an entire piece, from treble to bass clef, for two wonderful euphonium players within Dr. Caldwell’s gold band so that they could read what they were playing. As a sister of TBS and MV at heart, I can tell you that the behind the scenes work that honor band requires is always worth it. To see the excitement and stress that resonates with parents as they usher their wide eyed children into check-in, or to watch their expressions change with every note their child plays on stage from behind the curtains, is always and will forever be totally worthwhile. Even if there are some hiccups along the way, volunteers, band directors, and students always find a solution.